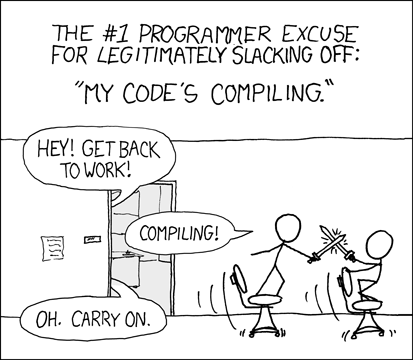 CS 4410 covers the implementation of efficient compilers for programming languages. The course focuses on the connections between language features and the impact they have on the design of a compilier, including any associated algorithms and pragmatic issues, and practical applications including those outside of programming languages proper. Participants build a working compiler including lexical analysis, parsing, type checking, code generation, and register allocation. As a secondary emphasis, the course exposes students to run-time issues and optimization. This course assumes familiarity with programming in the style of How to Design Programs, and basic knowledge of functional programming as introduced in CS 2510, and C programming as introduced in CS3650. At the moment, I am not planning on giving formal exams. However, we will likely have two or three written assignments (as opposed to the project assignments) that will serve a similar purpose. There is a final exam time scheduled for this course, but we may not use it. We will likely have project presentations due during exam week, so don’t assume the course is over before then. OCaml, version 4.07 – try to install the latest version; there have been breaking changes in the standard library prior to this, and not all of the starter code might work for you otherwise. OUnit, a unit-testing framework similar to JUnit. The easiest way to install OUnit is via OPAM, the OCaml package manager. There is no specific IDE for OCaml; I tend to use emacs, but you may use any editor you wish. There is no required textbook, but you may find these books useful. 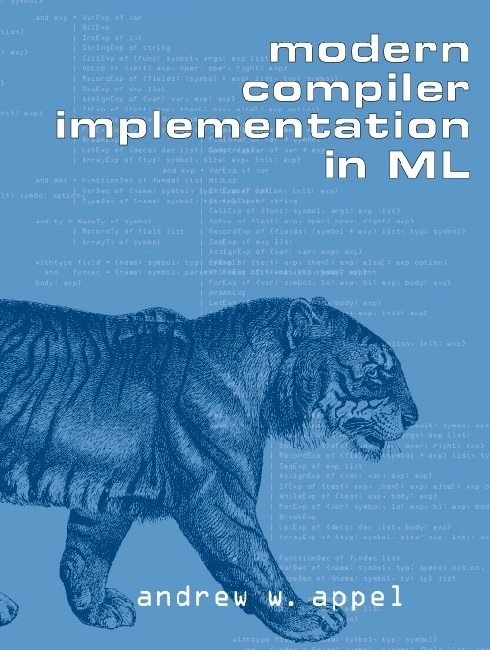 Andrew Appel, Modern Compiler Implementation in ML, Cambridge University Press, 1998. 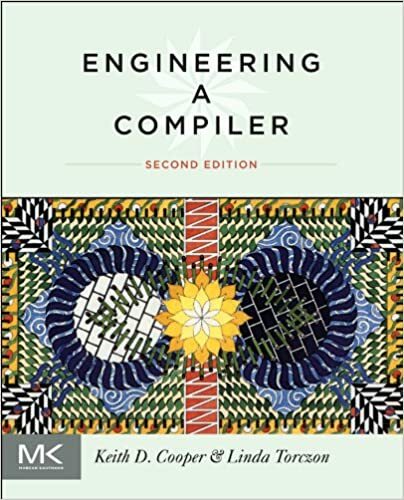 Keith D. Cooper and Linda Torczon, Engineering a Compiler, 2nd Ed., Morgan Kaufmann, 2004. 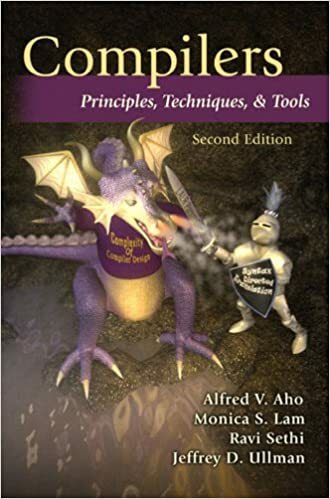 Alfred V. Aho, Monica S. Lam, Ravi Sethi, and Jeffrey D. Ullman, Compilers: Principles, Techniques, and Tools, Pearson Education Inc, 2006. For OCaml support in emacs, download tuareg (recommended) or this. See the INRIA web pages for information on ocamllex and ocamlyacc. This table specifies the lecture schedule; topics are tentative. 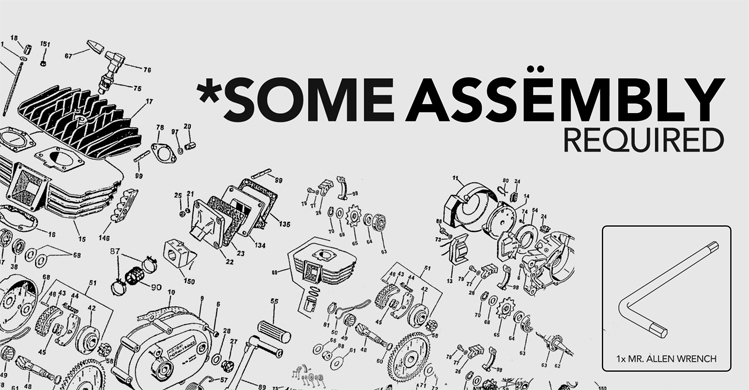 Testing your code is sufficiently important that we’ve devoted an entire page to it. Please read these notes, for each and every assignment you work on. Homework will usually be due at 8:59 PM; the day of the week varies, so you should check each individual assignment to be sure. General homework policies are here. This homework schedule is tentative and subject to change at the instructor’s discretion. You may not collaborate with anyone on any of the exams. You may not use any electronic tools, including phones, tablets, netbooks, laptops, desktop computers, etc. If in doubt, ask a member of the course staff. All homework assignments will be completed with a partner; some may involve a larger team (TBD). You must collaborate with your assigned partner or team, as specified, on homework assignments. You may request help from any staff member on homework. (When you are working with a partner, we strongly recommend that you request help with your partner, rather than solo.) You may use the Piazza bulletin board to ask questions regarding assignments, so long as your questions (and answers) do not reveal information regarding solutions. You may not get any help from anyone else on a homework assignment; all material submitted must be your own. If in doubt, ask a member of the course staff. Providing illicit help to another student is also cheating, and will be punished the same as receiving illicit help. It is your responsibility to safeguard your own work. Students who cheat will be reported to the university’s office on academic integrity and penalized by the course staff, at our discretion, up to and including failing the course. If you are unclear on any of these policies, please ask a member of the course staff. In general, you should submit your homework according to the instructions on the web page for the individual assignments. We have written a guide to using the handin server, which should answer most questions you have. If something is still unclear after reading that, please ask an instructor. If you have trouble submitting to the server and you have time before the deadline, please wait few minutes and try again; it may also be worth checking on Piazza to find out whether other students are experiencing similar difficulties. 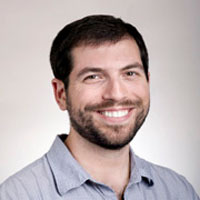 If upon retrying you still cannot submit, email Dr. Lerner (blerner@ccs). Or if you don’t have time to try again then you should submit by email. In this (rare!) case, email your instructor with the subject line “HW N submission” (where N is the appropriate homework number). Attach your source files to the email individually; do not use a ZIP file or other kind of archive. 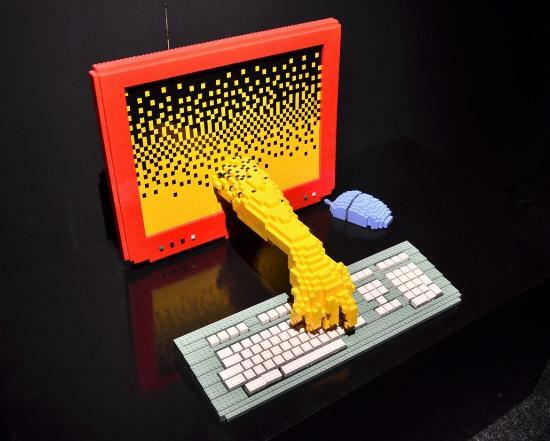 Our email systems reject messages with archive attachments. Each student gets four free, no-questions-asked late days for the term. The purpose of late days is make the extension process fair and transparent by getting the instructors out of the extension-granting business entirely. Instead, when you need an extension, you can take one — provided you have a late day remaining. Using a late day is automatic: simply submit the homework up to one day late. The server will keep track of the number of used late days. Conserve your late days carefully. No more than one late day may be used on any one homework. Late days cannot be divided fractionally, but must be used whole. Late days cannot be transferred to or shared with a partner, so in order to take an extension both you and your partner must have sufficient late days remaining. Choose your partners carefully. Your grade will be based on your performance on the problem sets, and the written assignments; exact weights TBD. The grades will computed on an absolute basis: there will be no overall curving. The instructor may choose to curve an individual assignment, but please do not bank on such a chance. The estimated mapping of raw point totals to letter grades is given below. Please note that these grade boundaries may move slightly in either direction at the discretion of the instructor: if a particular breakpoint falls in the middle of a tight cluster of numeric grades, we will attempt to move the breakpoint to give that whole cluster the same letter grade. If, near the end of the semester, you are concerned that your grade is hovering near a breakpoint, see me to discuss your concerns.